Please complete the form below and a sales representative will respond to your request. Daw Systems, Inc. develops medical software products for all specialties, focusing on E-Prescribing, Scheduling & Electronic Medical Record applications. 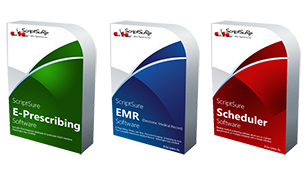 ScriptSure software is ranked #1, SureScripts GOLD certified and White Coat Awarded.